Sideshow Collectible is now taking preorders for their 1:6 Scale Obi-Wan Kenobi (Mythos) figure*. The Yakface Toyguide updates resume today with a look at the Darth Vader “Dark Contemplation” Mythos Statue, the latest statue to be released from Sideshow’s Star Wars Mythos line. PROS: While not perfect in its execution, the Vader Mythos statue is an amazing piece from concept to final production statue. It conveys a level of emotion and ambience that few display pieces have on the market today. The sculpting is very well done, capturing the iconic costume in nearly every detail. And then there are the alternate head portraits. Sideshow’s crafters included both an “aged” likeness (reminiscent of Sebastian Shaw in Return of the Jedi) as well as a more youthful visage that is very close in its likeness to Hayden Christensen in Revenge of the Sith. These portrait are scary in their realism and almost appear to be made of flesh and bone. They, in and of themselves, are their own pieces of art. CONS: Initial prototype imagery depicted Vader with a different pose for his right arm/fist and I think that would have improved the presentation even more than the production arm included. Also shown was an alternate arm revealing his cybernetic hand that too would have been great to have offered. Finally, the portraits revealing the human Anakin head are missing the breathing nozzles for the mask again as shown in the prototype. 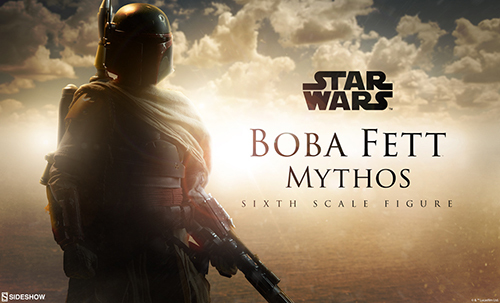 The Yakface Toyguide updates resume today with a look at the Boba Fett – Bounty #239 Statue, the latest statue to be released from Sideshow’s Star Wars Mythos line. PROS: You’d be hard pressed to find anything wrong with the pieces in the Mythos line and this one is no different. Top to bottom, the Boba Fett statue is an amazing achievement in sculpt, paint and presentation. CONS: A gorgeous piece only limited by its premium price tag. In a brief exchange I had on Twitter with Sideshow Collectibles (@CollectSideshow), they revealed that additional Star Wars Mythos statues are in development, but of course, they aren’t ready to divulge the characters quite yet. The Yakface Toyguide updates resume today with a look at the Ben Kenobi – Desert Nomad, the latest statue to be released from Sideshow’s Star Wars Mythos line. PROS: When this piece was first revealed, many collectors – including myself, knew that this was one item not to be passed over. It serves as an undeniable bridge between the Prequel and Original Trilogies while giving a deserved nod to The Clone Wars as well. 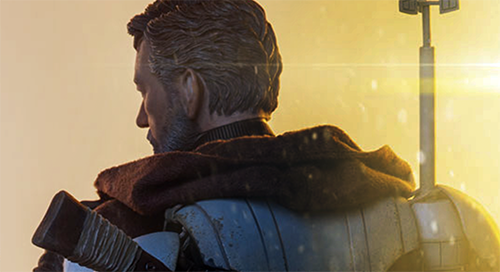 The details in the his survival gear (especially the inclusion of the lightsaber hilts of his former master and Padawan) and overall deco of the statue are amazing in their own rights but where this piece shines is in the uncanny interchangeable portraits of Ewan McGregor and Alec Guinness as Kenobi. CONS: This statue originally solicited the inclusion of a removable Obi-Wan’s lightsaber hilt that attached to his belt – which can be seen on the packaging. This accessory was ultimately dropped and the product photography was revised. Collectors of this line have also complained that the lit lightsaber blade either arrives snapped off the switchout hilt/hand accessory or that it breaks easily during unpacking and/or assembly of the statue (of which I can personally attest). PROS: While probably not at the top of most collector lists in terms of character significance in the overall saga, this statue is simply amazing. Sideshow’s artisans have given this piece such detail it’s hard to believe that it isn’t a living, breathing creature. The sculpt incorporates varying textures, washes and paint treatments (whether it be on muscle, armor plating, fur or terrain) that define each part and add to the sense of realism. The skin of Lomrokk is a work of art in and of itself as he is covered with scars and gouges giving him an even more imposing vibe. The interchangeable heads are a wonderful feature allowing you to vary its presentation depending on your preference. CONS: A bit pricey for most and it is quite large, weighing 15 lbs and standing about 20″ high, so display options may be limited. An odd character choice for a such a premium line of collectibles.